Its a beautiful summer's day and i'm feeling floral. 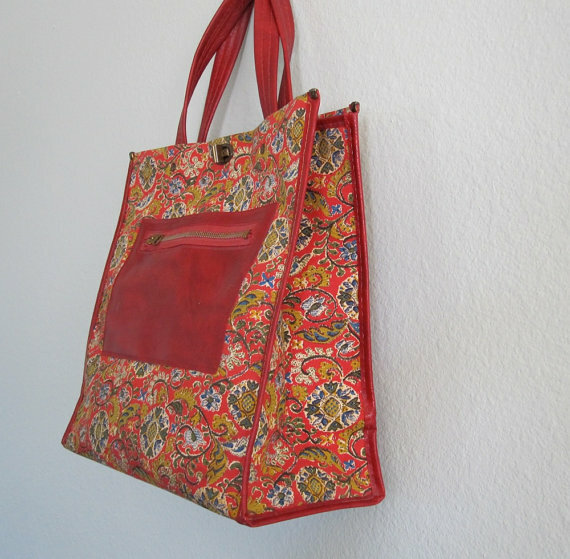 I love this vintage floral shopper. The proportions of this are just perfect and i love the simple clasp detail in the centre. 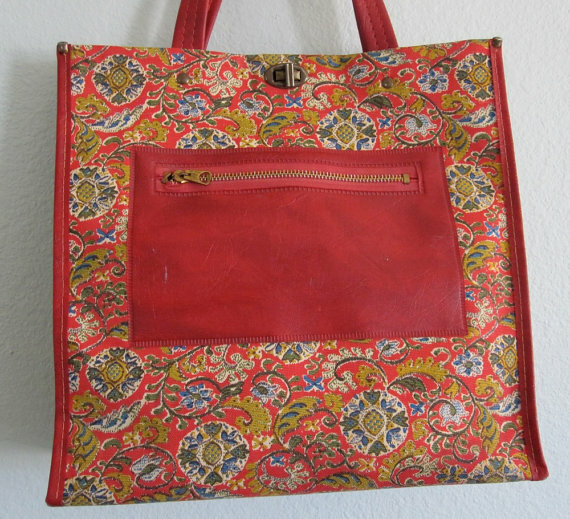 The floral paisley is embroidered onto this heavy fabric and finished off with simple red leather binding. The shape is wide at the base and narrows to the top. I also really love the flat zip pocket with metal zip on the front panel. 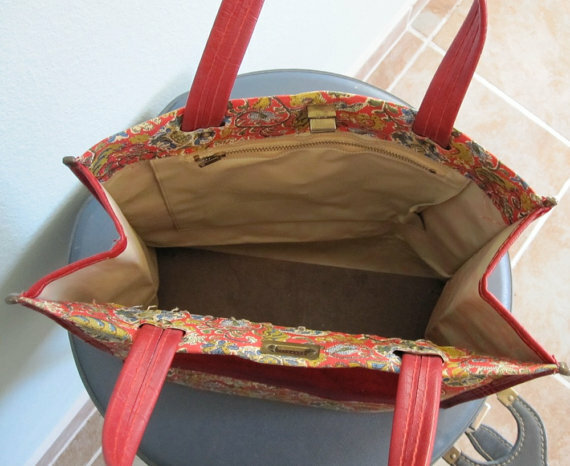 The inside of the bag shows where the handles are lovingly attached and the additional inside pocket. The bag has a home made feel about it, even though it probably is not home made. Even the little metal corner details are very dinky and cute. 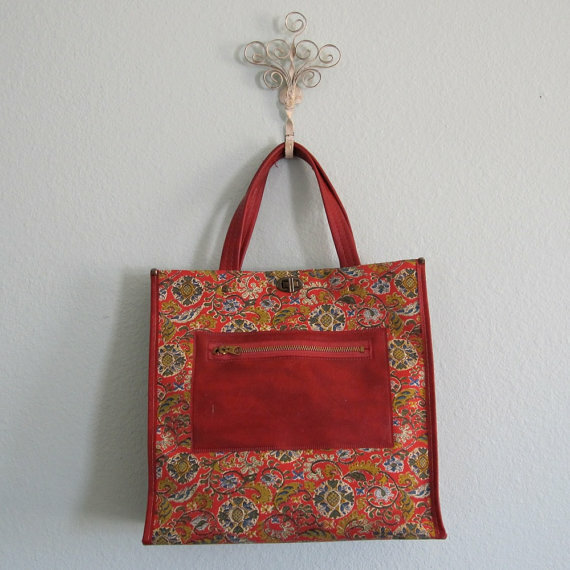 This is the kind of bag i can imagine a cool grandmother with oversized round sunglasses wearing slung over the forearm on her way to the shops in West London.